Though the longest government shutdown in history has finally ended, permanent damage has been done to our government and democracy. The costs of the shutdown are staggering: national parks lacked supervision, and visitors did potentially irreparable damage to fragile ecosystems. Some scientific research was paused. Economists predict that economic growth will be approximately zero in the first quarter of 2019, in part due to impact of the shutdown. Even the implementation of the 2020 Census is threatened because the Commerce Department lacked funding. Most significantly, the shutdown had an unprecedented personal cost, as about 800,000 federal workers were either furloughed or working without pay. Though federal workers certainly faced the immediate hardship of not getting a paycheck, the shutdown will also do long-term damage to our norms and institutions. It will further fray public trust in the ability of government to do good work and improve people’s lives. Before the shutdown began, the Pew Research Center found that trust in the government is already near a historic low, as only 18 percent of Americans say they trust the government to do the right thing. People were clearly already unhappy with how the government works prior to the shutdown, and public trust in the government has been on a steep decline in recent decades. When the Pew Research Center first began collecting data on trust in government in the 1950s, about three-quarters of people reported that they trusted the government. The shutdown will only make distrust in the government more severe, as it provides a clear example of the government being unable to fulfill its basic responsibilities. The hardships the shutdown caused for federal workers are highly salient, as many people personally know someone who was furloughed or working without pay. The media has also heavily reported on federal workers who have been struggling to put food on the table or pay the rent. Even though the shutdown is over, government workers will probably have to wait at least a week before they get a paycheck, according to the Washington Post. The shutdown confirms the popular (and false) perception that the government is incapable of getting anything done. The Pew Research Center has also found that most people feel frustrated about the government, as opposed to angry or satisfied. This sentiment was likely reinforced as the shutdown dragged on and Congress was unable to come to an agreement to end the shutdown, even as people faced significant hardship. Erosion in public trust in the government has serious consequences. If people don’t trust the government, they will probably prefer a smaller government that will do less to provide services and promote equality. They also may be less likely to vote and be politically active in other ways, which would make our government less democratic. Additionally, trust in government has become a highly partisan issue in recent decades, as voters for the party in power are significantly more likely to trust the government. Since the causes of the shutdown are so bitterly partisan, it will probably widen the partisan divide when it comes to trusting the government. Second, the shutdown will deter qualified people from entering public service. People who otherwise would have taken government jobs may look at the pain and instability the shutdown has caused and enter the private sector instead. Current government workers could even be frustrated enough by the shutdown to start looking for new jobs outside of the government. The government needs talented, qualified people to provide services and do research. 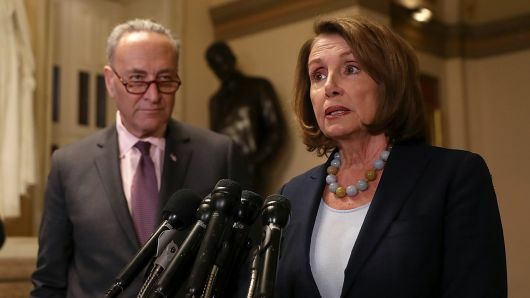 If these people decide that government work is not worth the pain and hassle of a potential shutdown, then the government will miss out on their talent. This problem could contribute to public mistrust in the government, too. If fewer people go into government work or people know fewer government workers personally, then they might be less likely to think that government does good work and has good intentions. People may assume that the consequences of the shutdown are over because the shutdown is over. However, while the shutdown certainly has done severe economic and personal consequences that are being felt right now, it has also done institutional damage that will persist for decades. As trust in the government declines, political participation may fall, weakening our democracy. Partisan divides surrounding trust in government may widen. Additionally, competent and talented people will be less likely to want to enter public service.